Imported Swedish warmblood boasting the bloodlines of Furioso II, and Kokard, sire of Drabant. By Furioso III out of Zorba, this stallion offers a blend of consistently superior performance horses in both jumping and dressage. On his sire's side, Electus has the impeccable bloodlines of his grandsire Furioso II combined with his grand dam's wonderful Hannoverian line. Furioso II was the most prized sporthorse sire for a decade in Germany. His get won the most money for over ten years, in both jumping and dressage. During that time period and even since then, there has rarely been a sire more dominant in the winner's list than Furioso II. On his dam's side, he benefits from the best of Swedish breeding with Rustina, described as "one of the stud mares in Sweden." Add to that, his great grandsire on his dam's side is Kokard. 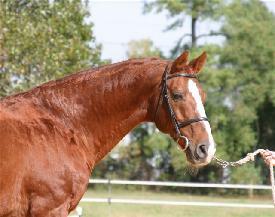 Kokard is an extremely influential sire of Swedish Warmbloods. His most renowned offspring being Drabant. Drabant was the sire of no less than three participants in the 1960 Olympics alone. Electus was bred in Sweden and is licensed by the Swedish Warmblood Society of North America. Electus, with extremely limited showing, proved himself at dressage and hunter/jumper. 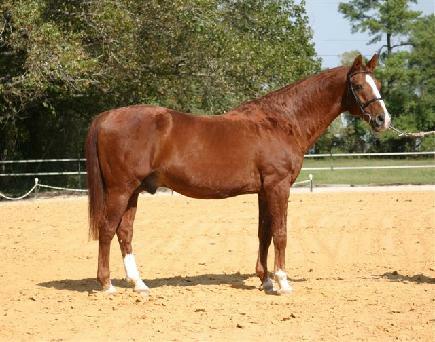 He consistently received marks of "8" on gaits and placed first at Training Level in dressage. Other comments were, "Lovely, elastic mover... Impressive Horse..."
Electus represents a remarkable combination of the best of German and Swedish bloodlines. And, he has a generous forgiving disposition coupled with an international quality athleticism. A rare combination indeed. Offered to a limited book of approved mares. $1250 stud fee, live foal guarantee, subject to standard contractual terms. Electus is approved by SWANA.